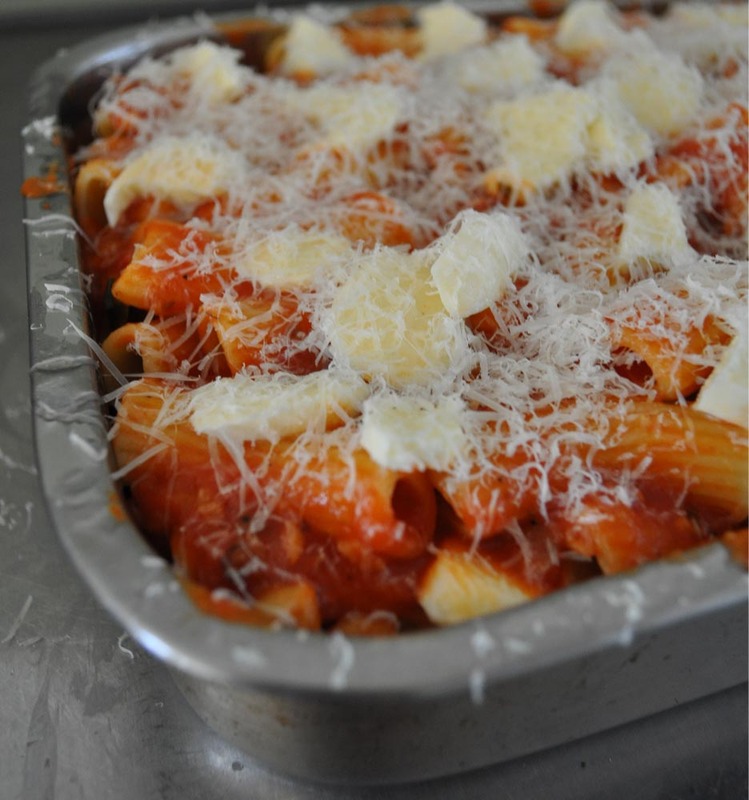 We eat simple pasta dishes like this all the time in Italy. In fact this recipe almost counts as complicated because it has two main ingredients in the ‘sauce’! Like most very simple dishes this works thanks to a little bit of precision in the cooking, so the order of adding ingredients does matter. If you can get your hands on some white zucchini this is a perfect way to use them. 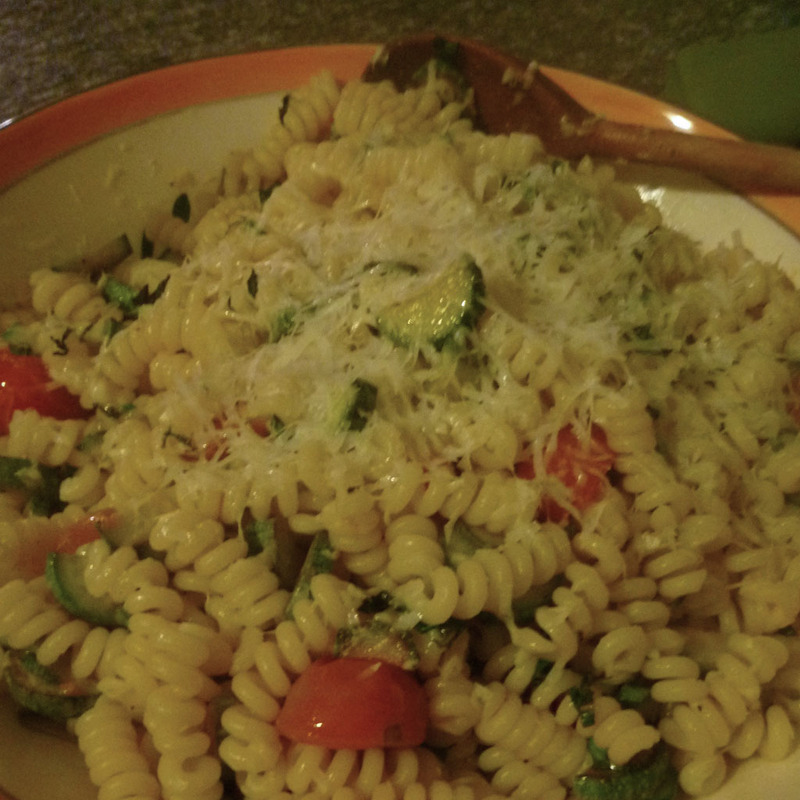 Alternatively asparagus is amazing in this kind of pasta dish. 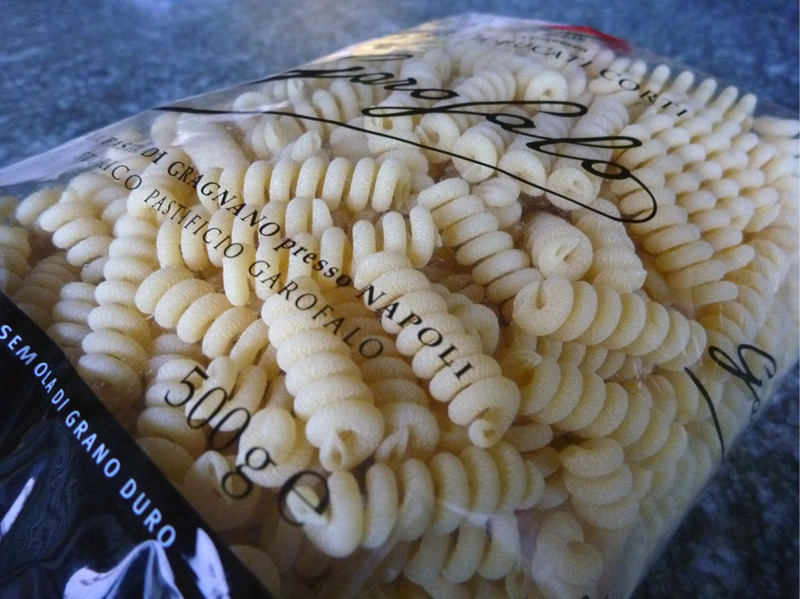 Get the pasta cooking in salted boiling water. 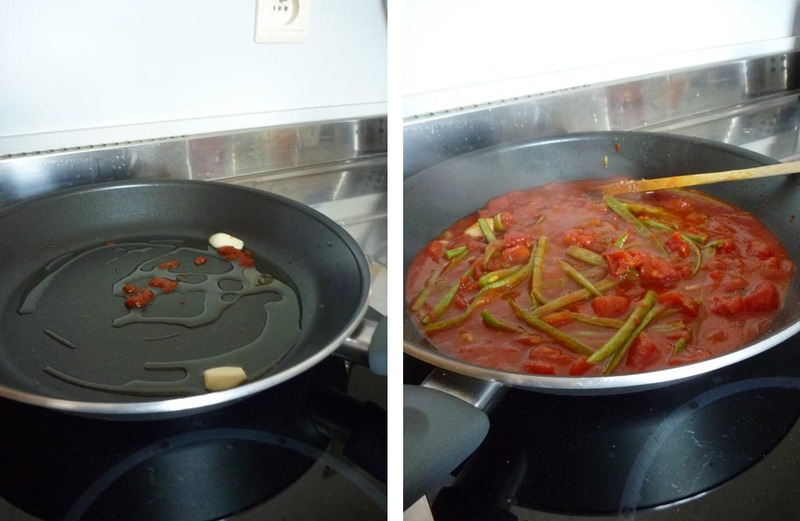 Put a frying pan on a medium–high heat. Add olive oil and the garlic cloves. When the garlic is just sizzling add the zucchini and sauté until they are just softening and have a little colour. Add the cherry tomatoes and continue cooking until they are warmed and just beginning to soften. Season to taste, but remember that the pecorino cheese is quite salty. Writing a recipe for vegetable soup is a bit daft. For one thing there are as many soup recipes as there are pots of it made – I mean, has anyone ever made soup the same way twice? Plus soup is one of the most forgiving and flexible things it’s possible to cook; a bunch of things thrown in a pot with some liquid and you usually can’t go wrong. 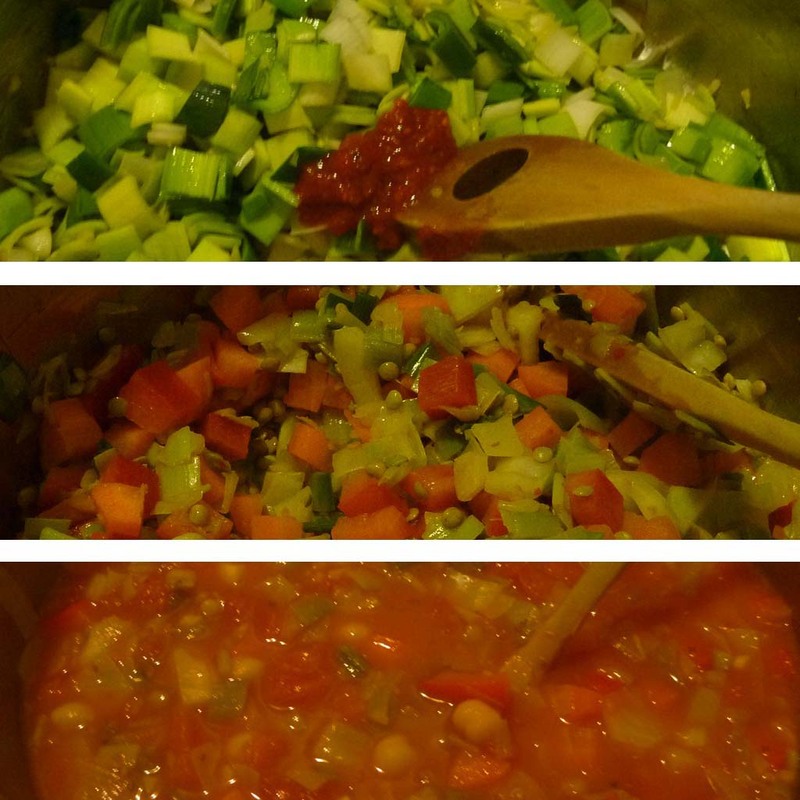 Mark Bittman (a New York Times food & opinion columnist) wrote a great article on vegetable soups a few days ago. He provides twelve starter recipes, with the idea that once someone has worked their way through that list they should never need to look at a soup recipe again. Looking at Bittman’s recipes a theme definitely emerged for me, which was the importance of having a knockout flavour combination at the heart of a soup. Bittman’s list included cauliflower and curry, squash (pumpkin) and ginger and tomato and garlic – you see what I mean? I think I’ve been unwittingly working to this model with soups for a while. 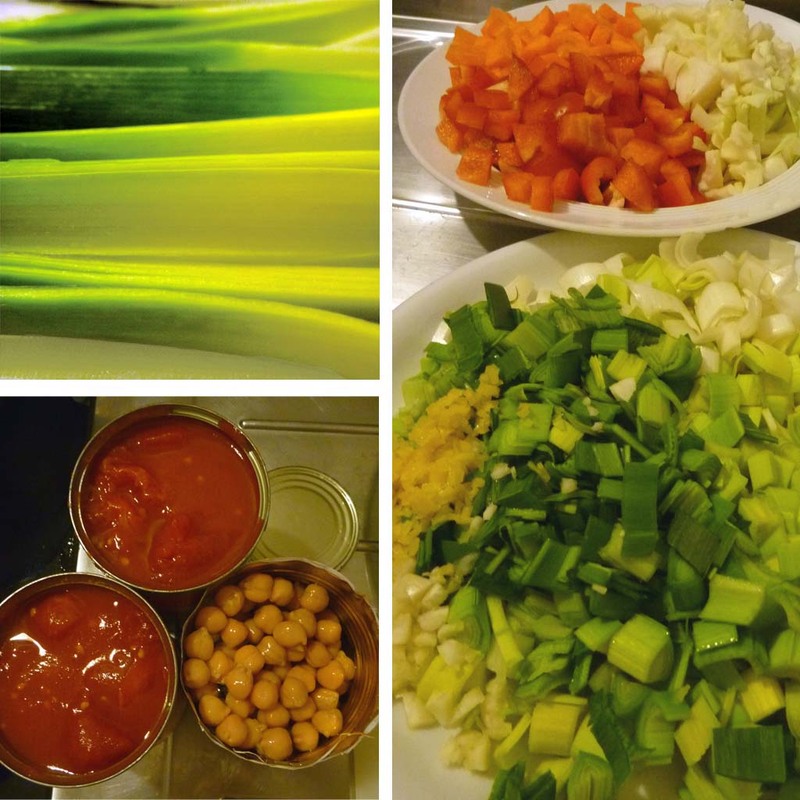 My basic soup template is generally a minestrone-style vegetable and legume soup, with lots of tomatoes to add body to the broth. Last year I was cooking this spiked with paprika and with chopped chorizo sausage to add spice and smoky depth. This year the inspiration changed, and I’ve been using one of my favourite new flavour combos – tomato and lemon. 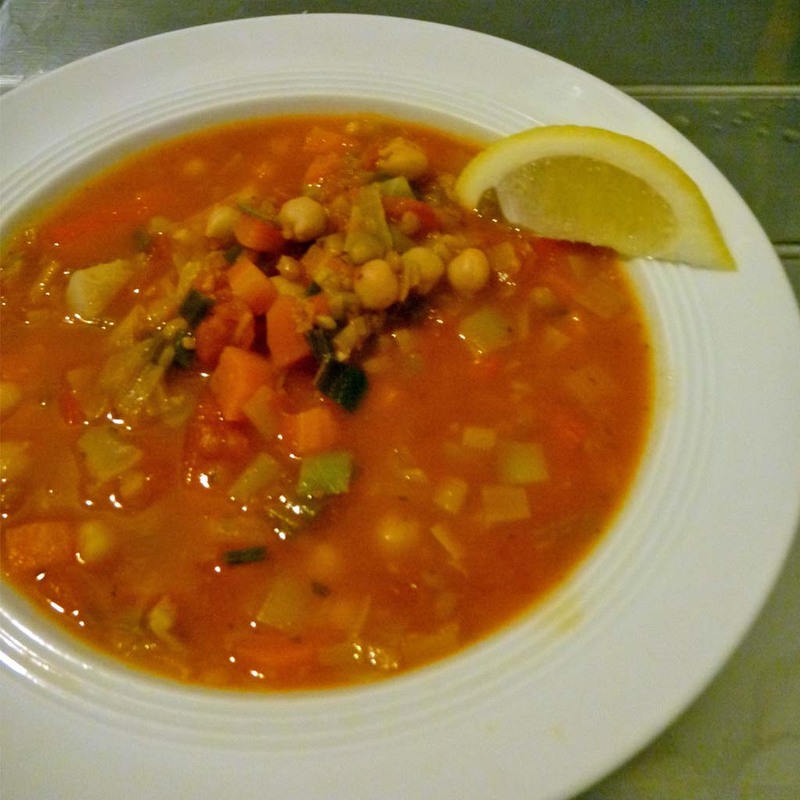 As a winter pick-me-up this has a lot going for it, and the tangy combination really works well with the more mellow flavours of chickpeas and lentils. I also throw a bit of chilli in at the start, not enough to make this spicy, but just enough to get a touch of warmth on the tongue. I like to head in a middle-eastern direction with toppings for this, toasted sunflower seeds and natural yoghurt are really delicious. In the photograph below I’ve just got the one necessary addition – a wedge of lemon to be squeezed over the hot soup just before eating. So here’s the recipe. I don’t want to be prescriptive about what vegetables to use and how much of them you need, so the quantities below are purposefully vague. 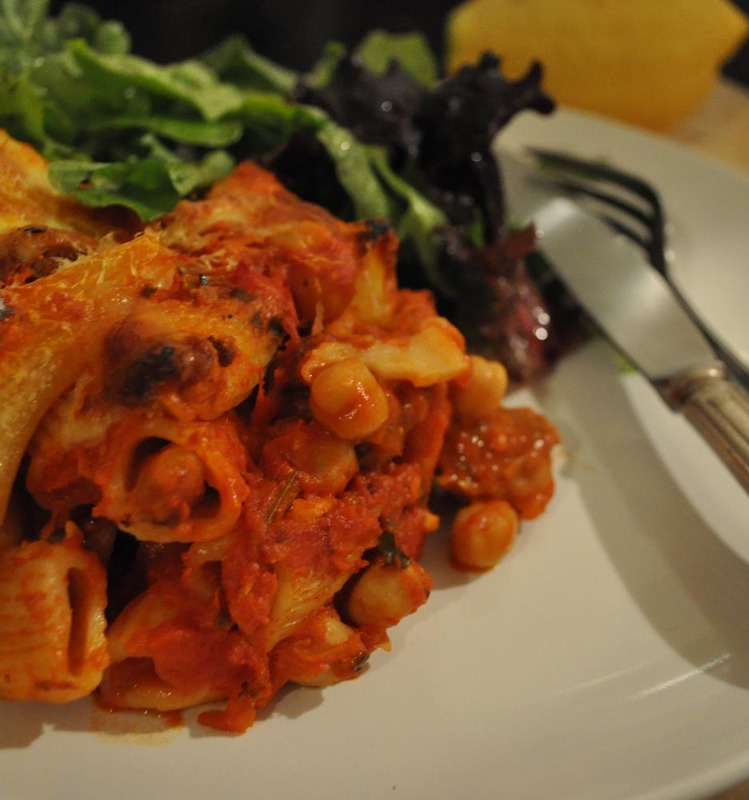 Similarly the lentils and chickpeas could be replaced by almost any other combination of legumes. For serving wedges of lemon (mandatory) plus toasted sesame seeds, natural yoghurt, freshly chopped herbs or whatever you like. Heat a large pot on a medium-high heat. Add olive oil and then the leeks/onions, garlic, lemon zest and chilli. Sweat, stirring regularly, until the leeks/onions are soft. Add the other vegetables and the lentils, continue cooking and stirring until they’ve softened. 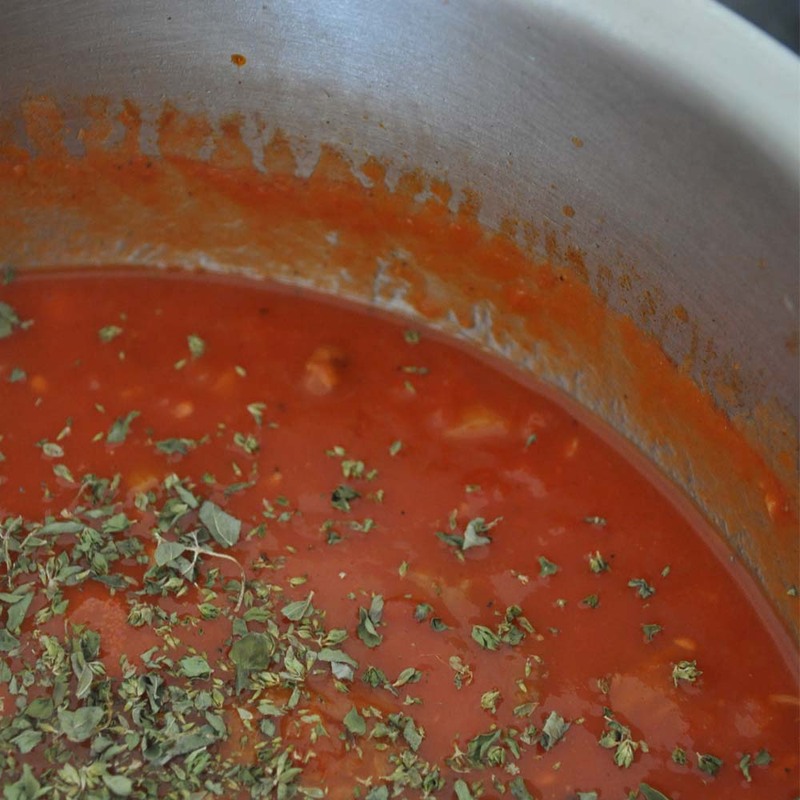 Add the chopped tomatoes, chickpeas, oregano and enough stock to give the vegetables a little room to swim. Season with salt and pepper. Cover and bring to the boil. Once your cauldron is bubbling turn the heat down to a gentle simmer and cover again. Cook, stirring occasionally, until the lentils are tender (around 25 minutes). Serve with a squeeze of fresh lemon juice and any other garnishes you feel like. 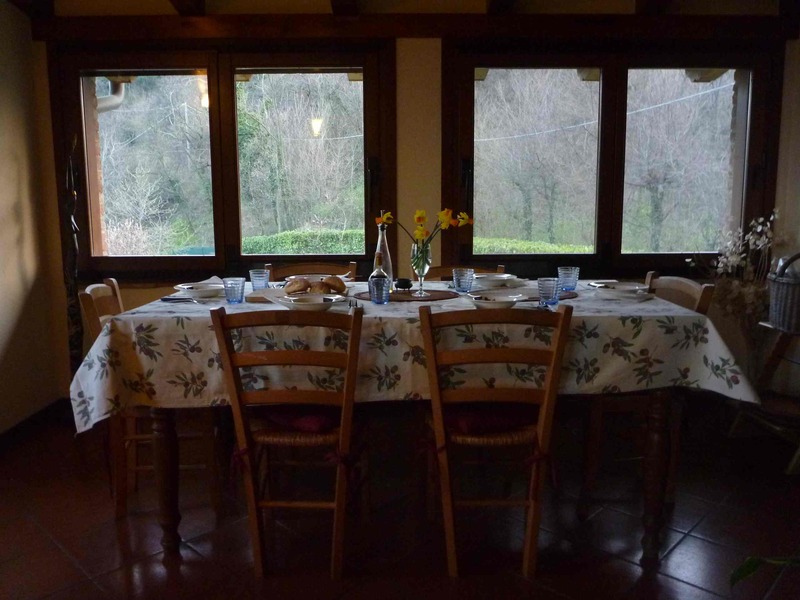 Spending several months in Italy last year provided a lot of opportunities to learn a thing or two about cooking – particularly the pasta arts. That said, it wasn’t always easy to squeeze tips out of the real pros. Maria is the nonna of my cousins (who are half-Kiwi, half-Italy). She’s from The South and really knows her way around a kitchen, having been on galley-duty her whole life feeding a tribe of relatives. She is also the master of making a lot out of very few ingredients; how she is able to draw every drop of flavour out of a few tomatoes and basil leaves and turn them into the most exquisitely pungent fresh tomato sauce remains a mystery to me. 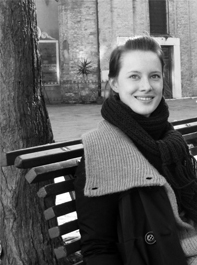 She is also a financial mastermind, the inventor of an economic philosophy both brilliant and simple. The principle? If you don’t go into shops you won’t spend money. Pure genius. In practice it means using up what you have – particularly food stuffs, but also clothes, cosmetics, anything – before heading back to the shop to resupply. With Nonna Economy you waste less and avoid opportunities to impulse-buy. Back to food, this was clearly the person from whom knowledge of the secret lore of pasta should be sought – but on the few occasions that Andrew or I tried to watch her in the kitchen we were usually turned around pretty swiftly. I’m not sure if we, as guests, were simply not meant to help out in the kitchen. More probably we just got in the way. On one memorable occasion the diminutive grandmother literally chased all six foot of Andrew out of her tiny kitchen brandishing a wooden spoon. That said, I did manage to pick a few things up, mostly from attempts to reverse-engineer the masterpieces that arrived on the table. One of the best was to use whole garlic cloves in quick pasta sauces rather than diced, sliced or crushed garlic. The whole cloves aren’t in danger of burning and becoming acrid, and they seem to infuse a much sweeter and more aromatic flavour than you get with garlic that’s had a rougher start to its culinary life. Just remember to remove the garlic cloves before serving the pasta! So, when I came to thinking about Saturday lunch last weekend the cupboard and fridge were beginning to look a bit bare – but with Maria as my inspiration I decided to make use of what I had lying around. 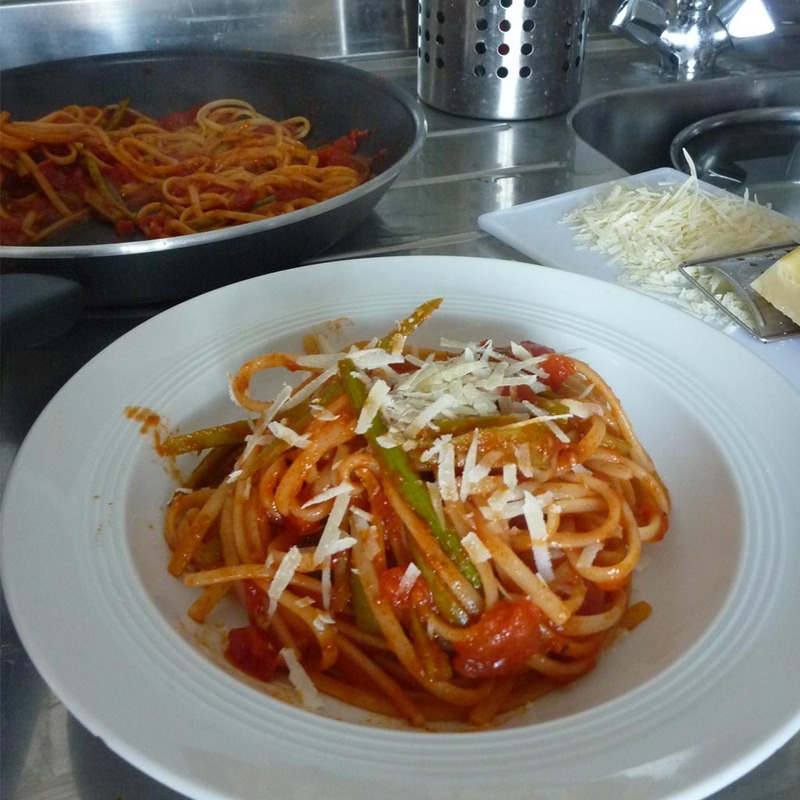 Fresh green beans braised in a tomato-based sauce and served with fresh parmesan cheese couldn’t be called a revolutionary idea, but with some linguine added I was able to up the ante from side-dish to main meal. Slicing the beans length ways to form lovely green ribbons adds a little work, but the cohesion you get between vegetable and pasta is well worth the effort. 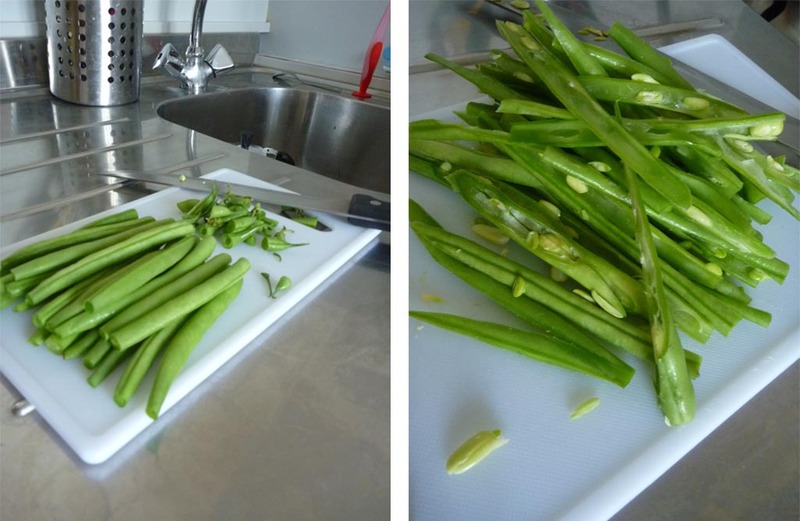 Top and tail the beans, then slice them lengthways in halves or thirds – aim for a width similar to that of your linguine. Put a frying pan onto a medium-high heat. Add a splash of olive oil and the whole garlic cloves and chilli (I used sambal oelek because I had it on hand, but fresh or dried chilli would be fine). Once the pan is hot, and the chilli/garlic have just started to sizzle, add the beans to the pan. 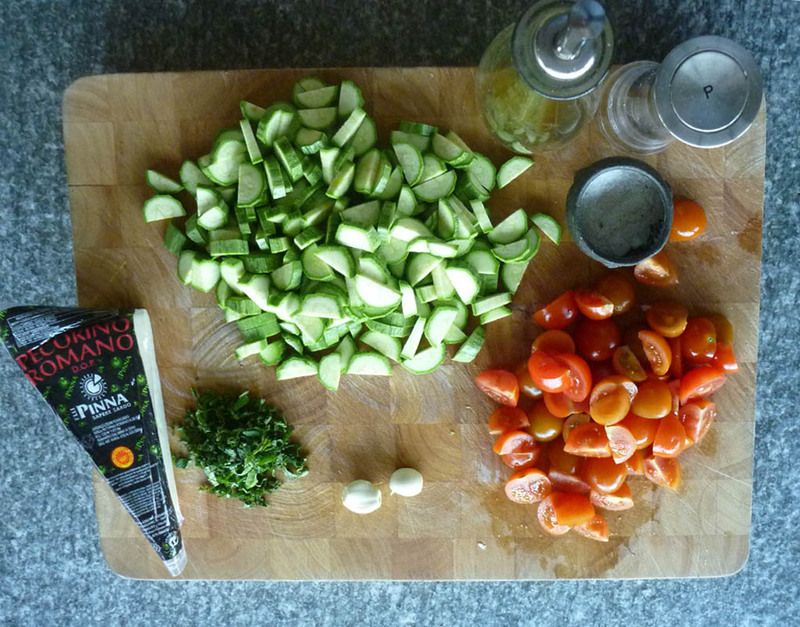 Cook, stirring, for a minute before adding the tomatoes and the oregano (fresh basil would be a great alternative). Season with salt and pepper. Bring to the boil, reduce the heat and simmer while you cook the linguine. The sauce should reduce a little and the beans should soften but retain their bite. Drain the cooked linguine, keeping about a tablespoon of the cooking liquid. Add the linguine and the cooking liquid to the sauce in your frying pan (still on a low heat) and mix well. * I prefer the whole peeled tomatoes, which I then chop myself by sticking a knife in the opened tin and thrashing it about a bit. I find these have better flavour and more body than the crushed ones. In the photos above, though, I’ve actually used crushed as I grabbed the wrong can at the shop – so really the crushed toms are fine.